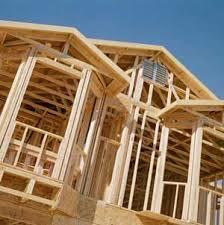 Building a house? Strap in for an exciting ride and a once in a lifetime opportunity to create something really special. But if there’s one thing you absolutely should do first – it’s spend the bulk of your time thinking about making the design work for years to come. That doesn’t necessarily mean getting an architect involved, but it does mean being informed about how people will live and move about inside the home and where you should have sun in the home, how wide your eaves need to be, and how you will capture the breezes. Many home builders understandably get fixated by how their house will look – from tiles to flooring, to paint and fixtures. But given fashions are fleeting and interior finishes will quickly date (no matter how neutral – or cutting-edge – you try to be) most of the energy should go into ensuring the actual layout is designed the right way. Tiles and paint can always be updated but it’s much harder to re-orientate the entire house and shift whole rooms around. It is absolutely flabbergasting to hear people in the throes of building their homes say that they just “chose the house that fitted the block” and didn’t think too much about which areas of the home would receive winter sun. Especially when there’s so much information available as to how to get it right. Often these are young couples spending $300,000 – $600,000 building a home that they hope to live in for many years. But they are setting themselves up for less than optimal comfort and higher than necessary energy bills. Many forget the basics – getting the floor plan and flow of the home right and working with the natural environment by getting the sun into the living areas in winter, shading the home in summer, and allowing plenty of cooling breezes to flow through and flush out the house when they are available. They have also failed to research different ways of building, such as reverse brick veneer (where the brick is used on the internal skin to provide thermal mass and maintain a more even temperature). Sid Thoo, chair of the Association of Building Sustainability Assessors, says putting a layer of brick on the outside and then a timber frame with plasterboard and insulation on the inside of a home – which is the standard building practice in most parts of Australia – is “actually the wrong way around”. “What you actually want to do is put the frame on the outside and put the brick on the inside, because with the frame you can pack that with insulation, you can use it to protect the thermal mass from the changes in temperature between inside and outside. And then the thermal mass is exposed on the inside, which helps it to regulate the internal environment, so reverse brick veneer is the way to go,” Thoo says. The exterior of a home could then be clad in any number of materials from corrugated iron to weatherboard, laser-cut panels or modern fibro that can be left raw, painted or rendered over. Thoo reasons that home builders still prefer to put the brick on the outside skin as having brick on display is “a perception of value” that harks back to modern Australia’s roots as a convict settlement. “Brick is perceived as having a certain permanence [and] prestige,” he says. It is thought, he says, that brick houses look better than fibro houses so home owners are convinced to put the brick veneer where everyone can see it as opposed to where it’s actually going to give you the best possible thermal performance. Previous PostFor you’re a jolly good sellerNext PostWhen did you last check your smoke alarm?